I was able to review a set of Buddy Blocks from ImagiPLAY, which are part of the Toddler Core Curriculum from Timberdoodle! To check out the FULL Toddler Core Curriculum Kit, click HERE! The Toddler Core Curriculum kit will give you everything you need to start home instruction with children ages 18 months to 3 years of age! If you haven’t yet heard of Timberdoodle, they are one of the leaders in homeschooling curriculum, and offer a wide variety of tools, books, toys, and curriculum packages to meet the needs of any homeschooling family. To sign up for a free homeschooling catalog from Timberdoodle, click here: I want a homeschooling catalog! I was excited to receive the Buddy Blocks, as so often most of what I get asked to review excludes my youngest child. I thought these would be right up his alley. At ten months, he is learning to stack, bang together, hold, throw, etc and these cute little puzzle blocks are a great toy to nurture his fine motor development. 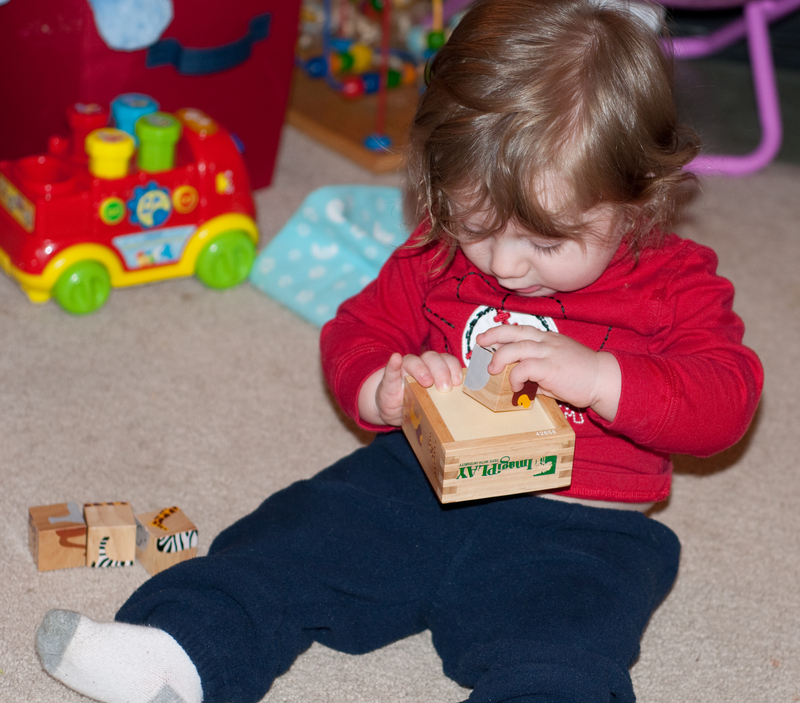 The Buddy Blocks are made of all-natural rubberwood, and are the perfect size for small hands. 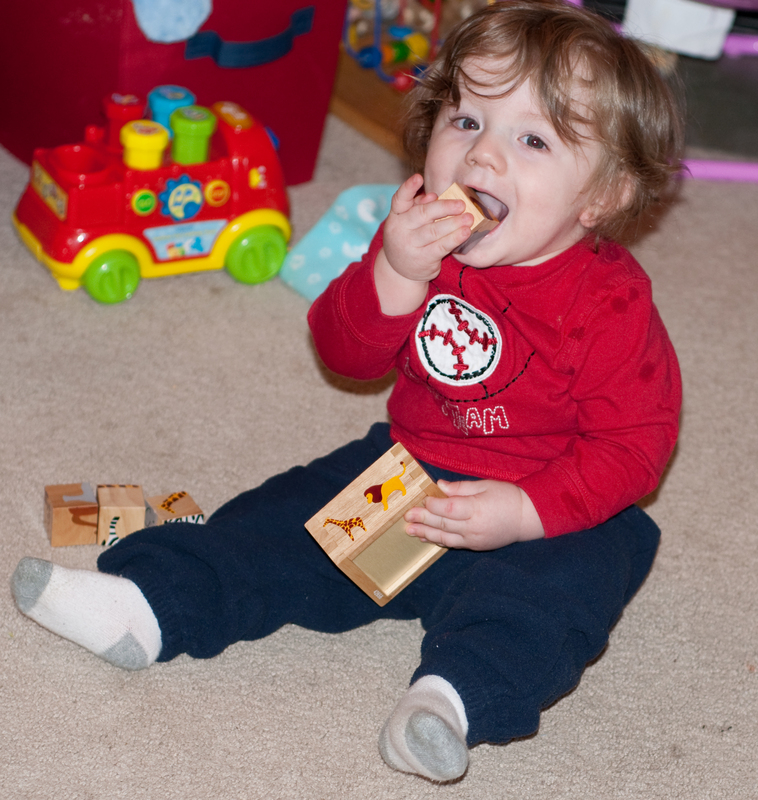 The blocks are painted with non-toxic paint, so you can rest assured when your little one begins to chew on them! 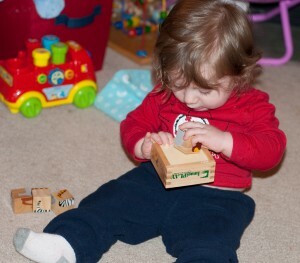 The wood is also splinter proof, so the manufacturer definitely had little ones in mind while making these blocks! 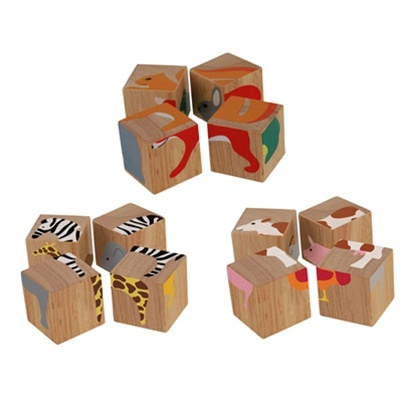 Each set comes with four blocks, each featuring six different animal puzzles to solve. There are three different sets to choose from, Farm, Jungle, and Backyard. (Our family received the Jungle set, featuring lions, zebras, and giraffes!) The Buddy Blocks sell for $11.99 through Timberdoodle, and you can purchase a set HERE. As you can see below, my little man loves to play with his Buddy Blocks. These are such great toys for children to begin to develop their hand-eye coordination, critical thinking skills, pattern recognition, and other fine motor movements. I love that the Buddy Blocks come with their own handy storage case, which also enhances the toy. As children do the puzzle in the box, if they flip the block over, out onto the floor, they will soon discover that there is another complete puzzle staring up at them! The box also doubles as a guide to show the children which animal shapes they can make with their Buddy Blocks. These toys are just right for children aged 6 months-3 years, and there are many ways to use them with your child. Whether you are looking to begin informal or formal schooling with your baby or toddler,or whether you’re simply looking for a fun and unique toy, Buddy Blocks just might be a great fit for you and your family! 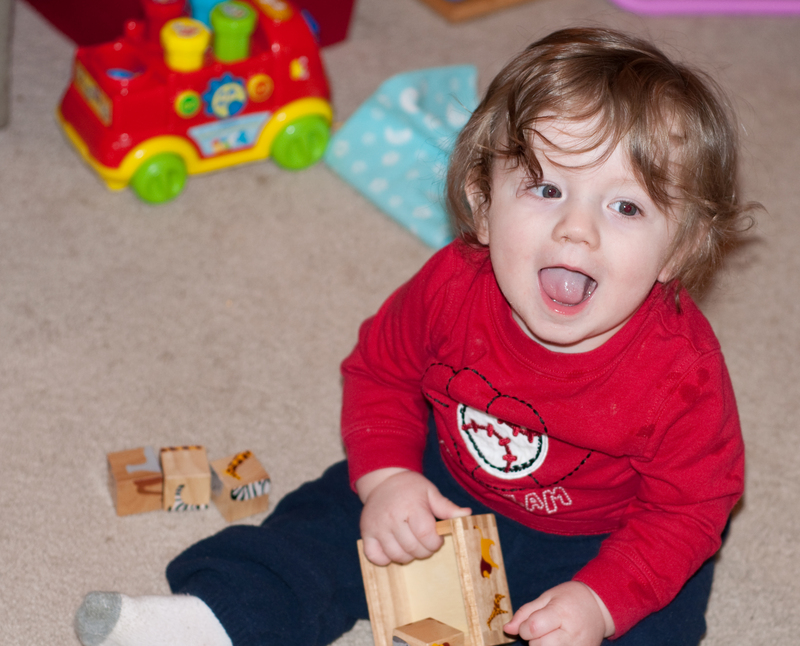 See what other reviewers thought of Buddy Blocks over at Because Mom Said. *As a member of Timberdoodle’s Blogger Review Team I received a free set of Buddy Blocks in exchange for a frank and unbiased review.